It’s Friday night and you are out to support your favorite local basketball team. Suddenly one of the athletes gets tripped up while attempting a lay-up and falls to the ground. They are unable to get up on their own. Someone you don’t recognize rushes onto the court, it’s not a coach or an official or even a parent. They start looking at the athlete’s ankle, asking questions about what hurts, and evaluating what might have happened. This person then stands the athlete up and helps them to walk off the court. The game continues and you notice that this same person is applying tape to the injured athlete’s ankle. Then before you know it the athlete, who just needed help to walk off the court is back out there playing again. Who was that person providing care for the athlete? What you saw on the basketball court was one of the many roles of an Athletic Trainer. 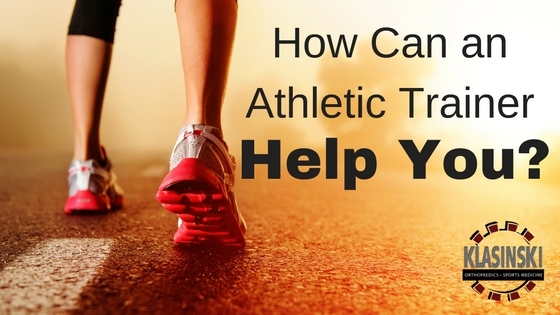 Athletic trainers are highly qualified, multi-skilled allied health care professionals. They provide sports medicine care that comprises of prevention, emergency care, clinical diagnosis, therapeutic intervention and rehabilitation of injuries and medical conditions. During that basketball game, you witnessed the athletic trainer provide emergency care for the injured athlete and make an initial clinical diagnosis. 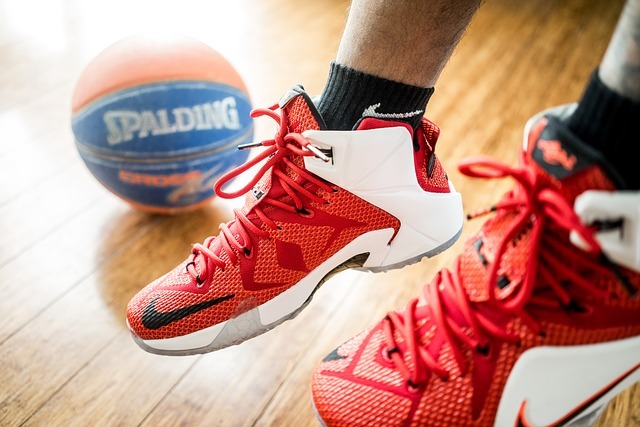 The athletic trainer determines if he or she can continue to play, then tapes the athlete’s ankle to aid in the prevention of any further injury. The athletic trainer carefully watches the injured athlete as they return to the game and checks in with them frequently. Following the game they may provide the athlete with ice and an elastic bandage; requesting that they follow up in the training room the next day. In order to prepare an injured athlete for the next big game a lot of work goes on behind the scenes. The athletic trainer will often discuss a plan of care with the athlete’s parents and coaching staff. They document that the injury occurred and include the type of care that was provided. They create a plan for the next week by designing a rehab exercise program and provide coaches with modified practice activities for the athlete. Throughout the injury, the athletic trainer remains as a primary line of communication between the team physician, the athlete, their parents and coaching staff. They educate the athlete, parents, and coaches on the specific condition as well as how to prevent future injuries. On a day to day basis, they maintain the health of the student-athletes and serve as a resource on injuries, nutrition, strength training, and conditioning for all sports teams, coaches, and sometimes even active school staff. They typically have a flood of athletes from all sports coming in and out of their facility daily. The athletes come in to update the athletic trainer on their injuries and how practice is going, report new injuries for evaluation, and prepare for practice with taping, heating, or stretching. Other athletes who have sustained long term injuries follow up with the athletic trainer regularly to continue and advance their rehabilitation exercises. As you can see athletic trainers are committed to helping people prevent injuries and stay healthy and active. They are highly educated, multi-tasking, health care professionals that are dedicated to the job at hand and can be found in high schools, colleges, corporations, professional sports, the military, performing arts, clinics, hospitals, and physician offices. For more information please visit the National Athletic Trainers’ Association Website.